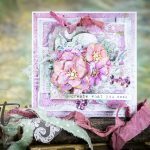 I had to use the Aren’t You Sweet Etched Dies from the Market Fresh Collection by Debi Adams as something more than a paper craft project. With summer coming around the corner, this kind of project would be fun for little girls to create and wear with pride – an Aren’t You Sweet Strawberry Pendant! Hello everyone, This is Yana Smakula and thank you for joining me today! 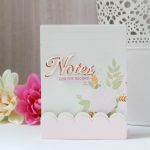 What do you say to picking some delicious strawberries from the Debi Adams latest Market Fresh collection and turning them into a yummy shaker card? 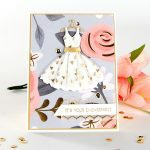 Instead of using my dies as intended, I decided to play with the negative strawberry die cuts!